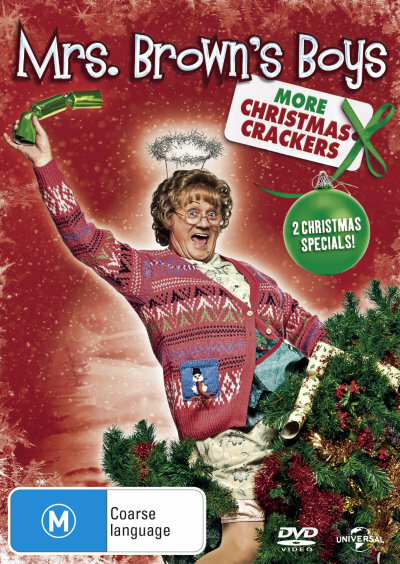 Mrs Browns Boys More Christmas Crackers DVD is new for Christmas 2014 and will have you in fits of laughter. It's a Merry Christmas miracle. Feast yourself on this double helping of Mrs. Browns Boys with the outrageous Christmas Specials. As always, Agnes is only trying to make Christmas perfect for her family but things don't always turn out as planned. 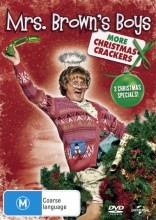 Click the button below to add the MRS BROWNS BOYS - MORE CHRISTMAS CRACKERS to your wish list.